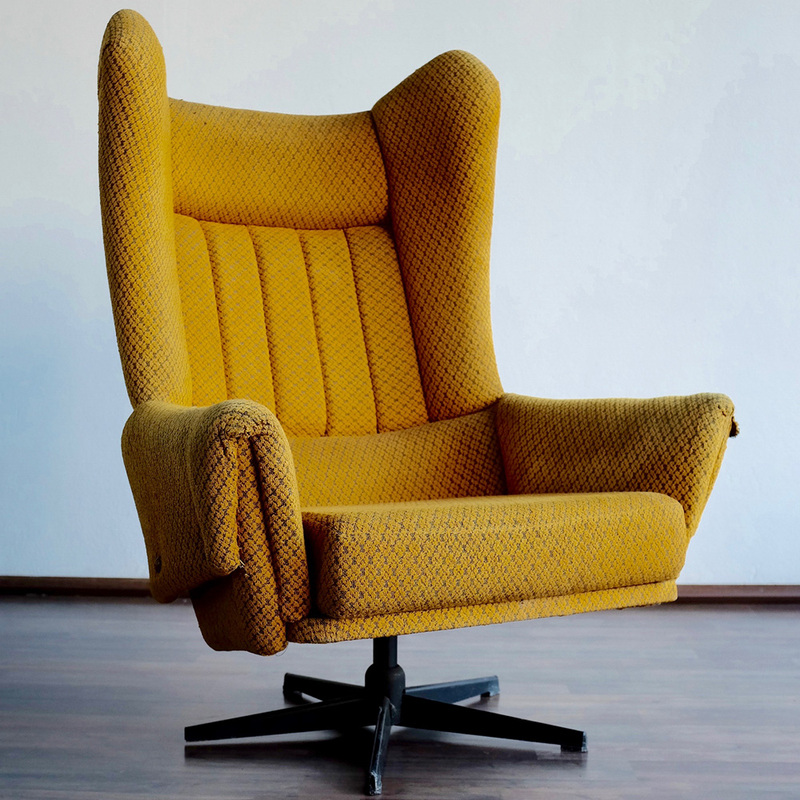 Beautiful revolving retro cozy armchair in yellow. Although not in very good condition but ideal candidate for a reconstruction. 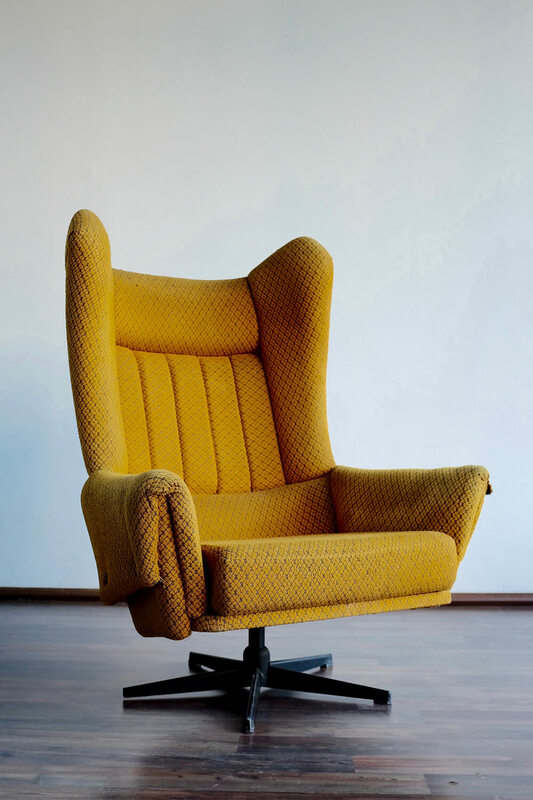 In new upholstery it will shine again.